Pro Tip: "Final Blox has an active ingredient that is considered the strongest in the industry. It usually takes 3-6 days to eliminate the target pest. Make sure to use tamper resistant bait stations when using this single feed bait. California has placed Final Blox in a restricted use category. We can not ship Final or Contrac rodenticides to California without a pest control license. 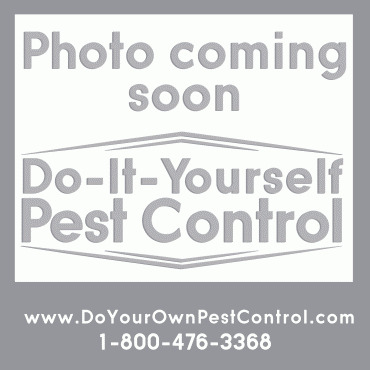 If you are a pest control operator or certified applicator in California, please call us with your license number. Other single feed baits (non anticoagulants), such as Top Gun, Fastrac, and Terad3 are available in all states." Final Blox Rodenticide combines Bell's highly palatable bait formulation with the powerful active ingredient, Brodifacoum, for the strongest, single-feeding anticoagulant on the market today. FINAL is effective on both rats and mice. It works especially well to clean out persistent mouse infestations where control is difficult or resistance is suspected. >California has placed Final Blox in a restricted use category. We can not ship Final or Contrac rodenticides to California without a pest control license. If you are a pest control operator or certified applicator in California, please call us with your license number. Other single feed baits (non anticoagulants), such as Top Gun, Fastrac, and Terad3 are available in all states. Final Blox Rodenticide combines Bell's highly palatable bait formulation with the powerful active ingredient, Brodifacoum, for the strongest, single-feeding anticoagulant on the market today. Final Blox is effective on both rats and mice. It works especially well to clean out persistent mouse infestations where control is difficult or resistance is suspected. This rodent bait with Brodifacoum, causes internal bleeding by preventing clotting. Brodifacoum is a single feed bait where rats or mice can consume one feeding for a lethal dosage. Rodents will start dying in four to five days. Vitamin K1 is the antidote, which will heal clotting ability. Bell formulates Final with more than 16 human food-grade, inert ingredients for a flavor rats and mice can't resist. When tested against other Brodifacoum baits on the market, this rodenticide is the preferred bait of rats and mice. It is colored red for easy identification. Final Blox comes in a distinctive cog shape and has just been re-formulated for even greater palatability. This new formulation meets the EPA's new stricter guidelines for single-feed anticoagulants. The bait of choice in the pest control industry, Bell's patented blox are manufactured from Bell's unique extrusion process that yields a hard, multiple-edged bait with the palatability of a meal bait and the weatherability of a paraffinized bait. The multiple edges appeal to a rodent's desire to gnaw and blox are made with food-grade ingredients and small amounts of paraffin for a highly palatable bait. Final Blox works well in any condition; wet or dry, indoors or out. A hole in the center of the Final Blox permits you to place it on bait securing rods in bait stations, or nail or wire it in place. Final Blox has an active ingredient that is considered the strongest in the industry. It usually takes 3-6 days to eliminate the target pest. Make sure to use tamper resistant bait stations when using this single feed bait. Final Blox may be used in and around homes, public buildings, agricultural, industrial and commericial locations.Final Blox may be used around transport vehicles and terminal buildings. Final Blox can only be used within 100 feet of man-made structures to control rodents such as Norway Rats, Roof Rats and House Mice. Fence and perimeter baiting, beyond 100 feet from a structure is prohibited. Burrow baiting with Final All-Weather Blox is prohibited. May be used in sewers and alleys. Do not broadcast Final Blox .Use tamper-resistant bait stations with usage. Each 4 lb. pail contains approx. 88 x 20 gram blocks measuring 1.75 in. x 1 in. x .75 in. Each 18 lb. pail contains approx. 400 x 20 gram blocks. First, determine the location of rodent activity by a inspection. Look for grawned openings, along walls, concealed places, corners, burrows, between walls and floors. Get rid of any other food sources. Mice: Use 1 blox per placement, spaced about 8-12 feet intervals apart. If there is a heavy infestation, place 2-3 bloxes per placement. Excellent Product! It was consumed as soon as I put it out my bait traps. I made sure I staked down the bait traps or the Raccoons would have carried the final off also. I combine bromethelin and waffarin blocks in my bait station so they have a choice!!! Note: I live out in rural Texas, this is the only effective solution for rats and mice (home and automobiles) since I'm not a Cat or Dog caretaker type person! It wiped out the rats in no time!! Great deal for the price. Good reviews to kill mice or rats what about voles! Will this product kill voles? My yard looks like a road map! Bait was readily eaten and dead mice were found within five days of first nibbles. It’s been two weeks since I put out bait stations and the nightly scribble-scrabble has ceased, no new droppings, and bait stations no longer so signs of nibbles. Product worked awesome. We live in the country where there is nothing but farm fields all around us. The rats where getting under the hood of our vehicles eating the insulation under the hood. 2 weeks of baiting with this product and there is no signs of the rats. No more feet prints on the motor or any more insulation missing. We put about 10 pieces of bait out a night all around the cars and the edges of the house. Great product!!!!! Works Great. Very large supply for the cost. Definitely worth it. I haven't had any problems with mice since I began using this product. The mice really eat it up instead of chewing into everything else. If only there was such a product for bigger pests - ground squirrels & rabbits. Buy it you won't be disappointed! Treated a cabin in the mountains with this it was taken over by packrats and mice in a few days we noticed a lot less activity. After about 3 weeks I only see a few bits off the bait and very little activity or a dead mouse or packrat. I believe it works better when its fresh so I change it every week. I would and have recommend this best product I have used. Mice and rats seem to love this stuff disapears quickly and I don't see anything but dead pests. Between this and the Contrac Blox, the roof rats in our area much prefer the Contrac. I put a Final, Contrac, and Terad 3 Blox in each of our bait stations and every single time for the past year the rats ate the Contrac first, the Final second, and the Terad 3 usually went untouched. Since using this two years ago in outdoor bait stations I have had zero mice at my camp. I do change the bait every 8-12 days to keep it fresh. I really like this product and recommend it to anyone who wishes to keep mice out of the house. Still waiting to see how long it takes to irradiate the pesky rodents, however I can say that it appears the love the stuff, feeding like there is no tomorrow. I had rats running across my floors. My son got this for me and we killed all the rats and there was alot, inside and out! Had an open storage barn where the rats had taken over and you could hear them everywhere applied final on a coat hanger for a few weeks, 5 blox at a time and all the rats are gone! That was years ago and I keep them cleared out with 3 blox that occasionally get eaten. I use this product every year in my business. I have had much success. I don't garantee 100% but I would 98%. Used the product as instructed and saw a slow down but not complete eradication of rodents. Too early to tell how effective the product really is. Easy to handle. Easy to store product. Very nice product if used in consecutive settings. Always use inside a Protecta hard box and secure with metal wires, (or use bailing wire if not in box). My infestation was gone within a week. I just wanted to send your company a positive Compliment, regarding the Rat and Mouse Bait--Final Blox I purchased from you. Since I used the Pink Mouse and rat bait from you, Final , My infestation was gone within a week.